Over the last 24 hours, senators, reporters, and political pundits have generated lots of commentary over Attorney General Jeff Sessions’ refusal to reveal his communications with President Trump during testimony before the Senate Intelligence Committee. Mr. Sessions cited, but did not invoke, the executive privilege as grounds for refusing to testify. The Washington Post published this analysis quoting lawyers and law professors’ views on executive privilege. In this online article, CNN reported on Mr. Sessions’ specific testimony and identified two 1982 DOJ memoranda from President Reagan’s administration as support. The Wall Street Journal had this brief report on Mr. Sessions’ privilege assertion, and the L.A. Times, in this article, reported on Mr. Sessions’ exchanges with Senators Heinrich and King. You may see Attorney General Sessions’ privilege assertion in response to Senator Heinrich’s questioning in this video clip from PBS NewsHour. And you may see his explanation for refusing to reveal his communications with President Trump in this video clip from PBS NewsHour. Mr. Sessions essentially stated that, although President Trump has not specifically invoked executive privilege, he was not at liberty to answer questions until the President had an opportunity to consider the question and then determine whether to invoke the privilege. 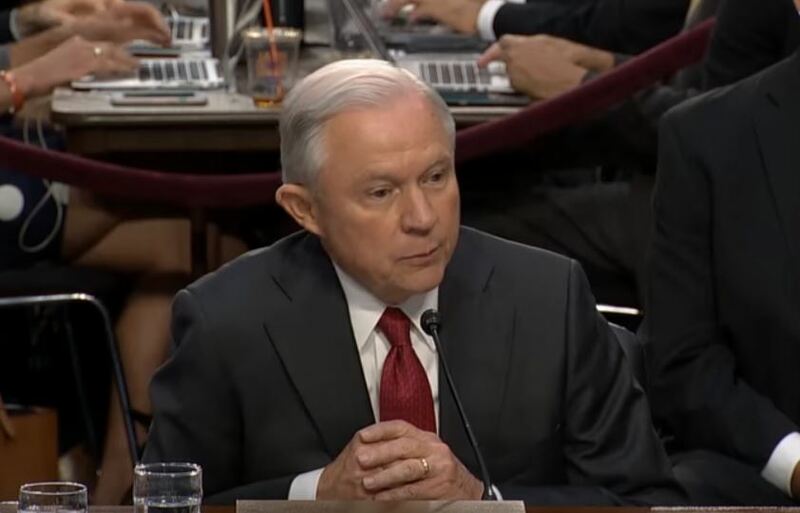 Commentators have raised several questions about the executive privilege’s application to Sessions’ testimony, stating that the requested testimony did not involve national security issues or pertain to an ongoing investigation. And they question whether the Attorney General may refuse to answer questions when the President has not invoked the privilege. So, let’s examine these issues from a legal, not political, perspective. First, as explained in my recent post titled Trump, Comey, and Executive Privilege, the “executive privilege” is a broad phrase that encompasses various subcategories of privilege covering military secrets, grand-jury testimony, law-enforcement investigations, agencies’ deliberative processes, and presidential communications. As with Director Comey’s testimony, Mr. Sessions’ potential testimony revealing his conversations with President Trump fall within the presidential communications privilege. The presidential-communications privilege protects from disclosure communications that the President and/or his top advisors made in the performance of the President’s responsibilities. The privilege is qualified and may be overcome upon a sufficient demonstration of need and that this evidence is not available from alternative sources. Second, the President holds the presidential communications privilege and only he can waive it. Think of the attorney–client privilege analogy: the client, not the lawyer, holds the privilege and only the client can waive it. If one asks a lawyer to reveal what her client said in a private meeting, the lawyer would state that she cannot answer unless her client authorizes disclosure. Here, while Mr. Sessions does not hold the privilege and cannot officially invoke it, he cannot reveal his conversations with the President unless authorized to do so—meaning that the President has decided to waive the privilege. According to Mr. Sessions, the President has not broadly invoked the presidential communications privilege regarding the testimony, but also has not considered the privilege with respect to the specific questions raised during the hearing. Third, what is the process for procuring Mr. Sessions’ testimony now that he has refused to answer? The Senate Intelligence Committee could (1) work with the Trump administration to determine whether he plans to invoke the privilege and, if not, bring Sessions back to answer the questions; or (2) challenge Sessions’ refusal to testify in court and seek a ruling on whether the privilege even applies. As noted in my earlier post, and my Law360 article, the latter option presents a long, time-intensive process with no quick resolution. Commentators who claim that a court will not uphold the privilege may be right, or they may be wrong. The truth is that we will not know until the matter is actually litigated. 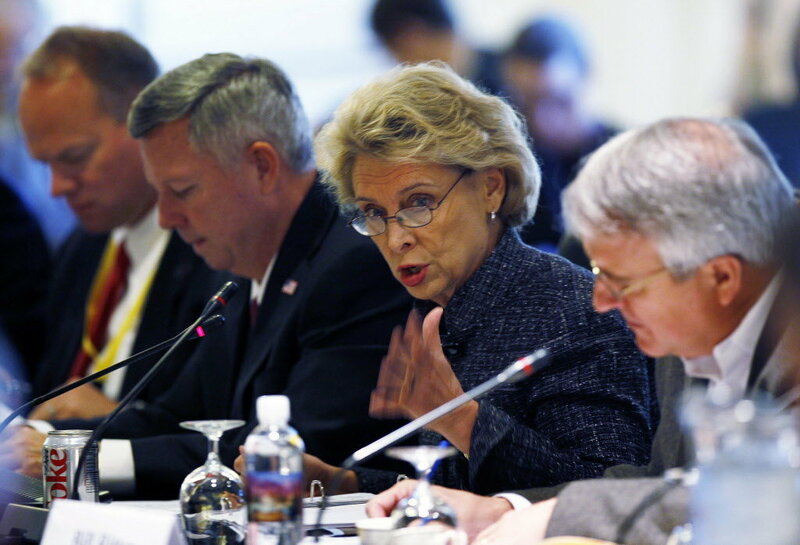 The Washington Supreme Court adopted a “qualified gubernatorial communications privilege” and precluded production of former Governor Gregoire’s communications with her staff. Freedom Foundation v. Gregoire, 2013 WL 5652731 (Wash. Oct. 17, 2013). You may access the opinion here. This decision comes just over a year after New Mexico adopted a similar chief executive communications privilege in Republican Party of New Mexico v. New Mexico Taxation & Revenue Dep’t, 283 P.3d 853 (N.M. 2012). PoP profiled this decision in an earlier post. 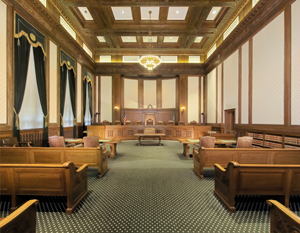 The Court held that, even though Washington’s constitution does not contain a formal separation of powers clause, the division of government into different branches gave rise “to a vital separation of powers doctrine.” Noting that every court considering the issues has adopted an evidentiary privilege for gubernatorial communications, the Washington Supreme Court similarly held that the state’s chief executive must have access to candid advice in order to explore policy alternatives and reach appropriate decisions without fear that her communications will later be revealed under an open government law. 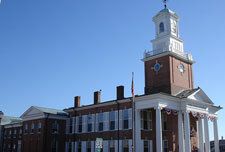 In order to sustain the privilege, the governor must submit a privilege log identifying the putatively privileged documents, the author and recipient, and a general description of the subject matter. The trial court should consider the documents “presumptively privileged” if the governor provides this information in a sufficient manner. overcome the privilege upon showing a “particularized need” for the materials. If the party proves a specific need, the trial court must then balance this need against the public’s interest in the governor receiving candid advice on policy decisions and determine whether to order production. Washington now joins ten other states that recognize some form of a chief executive communications privilege (Alaska, California, Delaware, Kentucky, Maryland, New Jersey, New Mexico, Ohio, Virginia, and Vermont). Interestingly, the Freedom Foundation court diverged with New Mexico’s Republican Party decision on whether a party seeking gubernatorial communications through a public records request may overcome the privilege upon a sufficient showing of need. In Republican Party, the New Mexico Supreme Court held that, in the public records act context, the requester’s need is irrelevant, and once the governor proves the privilege there is no balancing test. The Freedom Foundation dissent noted this issue, albeit in an argument to limit the privilege’s scope rather than on relevancy grounds. The balancing test becomes necessary only when a party seeks the governor’s communications in civil discovery because, in that situation, the party seeking the information has a need for the information or otherwise would not request it. In the public records request context, however, the requester’s need is irrelevant. Washington courts will need to address this issue in the future. The Delaware Superior Court rejected the state Department of Transportation’s request that it recognize a common-law deliberative process privilege. This rejection came despite the court previously adopting the closely related chief executive communications privilege. State Dep’t of Transp. 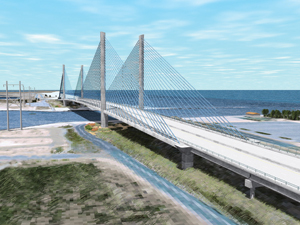 v. Figg Bridge Engineers, Inc., 2013 WL 5365384 (Del. Super. Ct. Aug. 13, 2013). You may access the opinion here. of the roadway and bridge structure. Figg, using AMEC’s study data, designed earthen embankments for the roadway approaches. These embankments later failed causing delays in the bridge-building process. DelDOT retained an engineering firm (OCL) to investigate, and OCL retained Golder Associates, Inc., a geotechnical engineering firm, to assist. DelDOT later sued Figg and AMEC over AMEC’s alleged errors and omissions, and AMEC subpoenaed documents from non-party Golder. DelDOT opposed the subpoena, arguing that the deliberative process privilege protected Golder’s investigatory documents from discovery. Often misleadingly called the “executive privilege,” the deliberative process privilege protects from discovery (and public records requests) documents reflecting opinions, recommendations, and deliberations that are part of the governmental agency decision-making process. The privilege protects only documents that are both deliberative—reflecting the back-and-forth of the deliberation process—and predecisional. The privilege is qualified, meaning that a party may overcome the privilege upon a sufficient showing of need. that no court had similarly recognized the closely related deliberative process privilege. The court also found persuasive the New Mexico Supreme Court’s opinion in Republican Party of New Mexico v. New Mexico Taxation & Revenue Dep’t, 283 P.3d 853 (N.M. 2012), recognizing a chief executive communications privilege but rejecting a deliberative process privilege. PoP profiled the New Mexico Supreme Court’s ruling in this post, and this one. Other than concern over the “fundamental unfairness” of permitting executive agencies to avoid producing documents that a private plaintiff would have to produce, the court provided little analysis for its rejection of the deliberative process privilege. The court simply reasoned that it would not apply the privilege because no Delaware precedent supported it. But the lack of precedent arguably does not close the door to common-law development. Delaware Rule of Evidence 501 provides that evidentiary privileges include those adopted by “court decision.” This language appears as compromise wording combining the Federal Rule of Evidence 501, which permits common law development, and Uniform Rule of Evidence 501, adopted by many states, which does not permit common-law development. New Mexico, the state upon which the Delaware court relied, follows the URE terminology prohibiting common-law privilege development. See N.M.R.A., Rule 11–501. Delaware’s “court decisions” language essentially means the common law, which allows evolving concepts rather than static, never-changing law. Contrary to New Mexico, Delaware courts have authority to recognize a new privilege or modify an existing privilege should the merits warrant. But the Figg court did not discuss this possibility.